Piracy is biggest Netflix competitor says shareholder letter. Amazon Instant, Hulu, HBO Go, and lots of other streaming services all vie for users, but Netflix still has a solid lead. By most accounts it controls close to 60 percent of video-streaming market share. So which opponent is Netflix itself most concerned about? Pirates. In a letter to shareholders on Tuesday, Netflix CEO Reed Hastings and CFO David Wells wrote, “Piracy continues to be one of our biggest competitors.” It’s a surprising statement from a company that led the charge in erroding piracy’s appeal. But Netflix cites services—like Popcorn Time—that provide a simple interface for connecting people with torrents as a major concern. The letter links to this graph, which compares prevalence of Google searches for “netflix,” “HBO” and “Popcorn Time” in the Netherlands. “Popcorn Time’s sharp rise … is sobering,” it says. But it doesn’t make a terribly strong case. Netflix has 50 million subscribers. It’s difficult to get a definitive total for Popcorn Time because the service is offered by multiple developers, but TorrentFreak reports that the most popular version of Popcorn Time has perhaps 5 or 6 million installs. Only a portion of that would represent active users. Netflix could be raising the point to remind content owners that piracy is still a threat and motivate them to make sharing deals. Since the graph provided by Netflix shows keyword searches and not actual downloads or active use, it’s difficult to use is as conclusive proof of piracy’s sway. But if Netflix is saying it’s worried, it may be because access to torrents is getting easier. 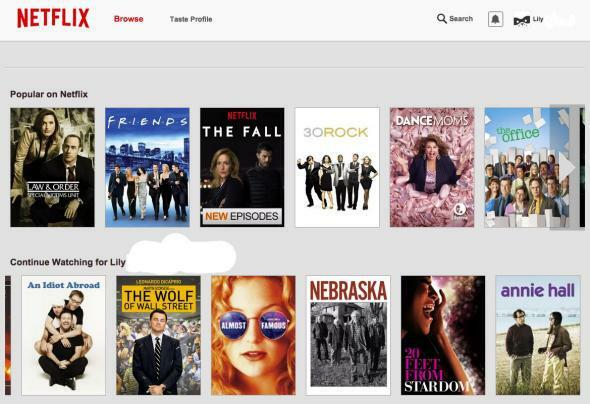 It’s hard to be cheaper than free, but at least Netflix is pretty close.